New Play Control! 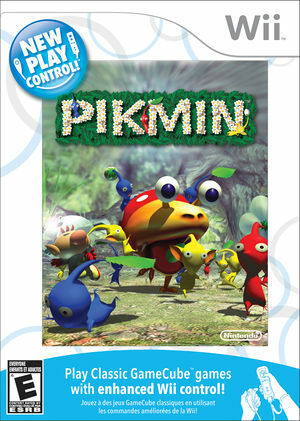 Pikmin is the re-release of the cult classic Pikmin on the Wii as part of the New Play Control! series. The game may crash randomly with the OpenGL backend, use D3D to avoid this. The graph below charts the compatibility with Pikmin since Dolphin's 2.0 release, listing revisions only where a compatibility change occurred. r4089 Windows XP Intel Core 2 Duo E6400 @ 2.13GHz NVIDIA GeForce 7600 GT The graphics are perfect with no bugs and the game always runs at full speed (50/60FPS). This game doesn't need a hefty PC to run at full speed, i have the audio throttle enabled to keep the game at a steady speed so it doesn't run at 80FPS. This page was last edited on 1 August 2018, at 10:22.